﻿ ISound II - Voice IC - Waytronic Electronics Co., Ltd.
☆One time programmable voice chip. ☆40s~340s voice length for option(6KHz sample rate). ☆Key control, pulse control, one wire serial port control, two-wire serial port control ☆mode. ☆Able to load 255 voice addresses. ☆Low voltage reset(LVR) function (LVR=1.5V). ☆High speech quality algorithm, standby/ low speed mode, saving power consumption. ☆Package types: SOP8, DIP8, SOP16, DIP16 etc. Small household appliances, automotive electronics, security alarm, consumer electronics, amusement machines, electronic lock, medical equipment, sweeper, etc. Programmable voice chip, this kind of voice chip can be reprogrammed, also we have multiple-time programmable(MTP) voice chip, programmable voice chip with large storage space. Control mode and voice content can easily be replaced. Can add 1Mbit-128Mbit Flash, voice up to 5000s, 510 sections of speech addresses. ☆Support USB online downloading and replacing speech content. ☆External memory 4Mbi~128Mbit, voice up to 5000s, 510 sections of speech addresses. ☆Support PWM and DAC audio output mode, PWM output directly driving 8R0.5W speaker. ☆Support MP3 control mode, key control(15 types key control modes), 3*8 key combination, parallel port mode, one wire and two-wire and three-wire serial port control mode. ☆Support combination play, up to 12 groups of voice. Can insert mute. ☆Automatically into sleep mode when not working. ☆Strong anti interference ability, can be applied in industry area. ☆Set BUSY output mode arbitrarily. Automotive electronics, amusement machines, medical equipment, security alarm, consumer electronics, electronic lock, , sweeper, etc. Voice module is based on voice chip, developed for customers, more convenient for early development, large-capacity storage type voice circuit. The overall integration is high. Can add the maximum 128Mbit SPI-Flash. Can load WAV and AD4 format sound. Voice module takes the voice chip as the master control core, has MP3 control mode, one-to-one key control mode (3-segment voice and 5-segment voice), power-on loop playback control mode and 2-wire serial port control mode. Control mode has been set in the chip sample production. During the operation, can not switch various control modes. Control mode can be set by yourself or we custom for you. ☆Module package (with SPI-Flash and peripheral circuit) has DIP16, DIP28 types, no need to debug the chip characteristics by yourself. ☆Different SPI-Flash has different playing time. Support 2M~128Mbit SPI-Flash memory. ☆Embedded DSP high speed audio processor. ☆Built in 13Bit/DA converter, 12Bit/PWM output, good sound quality. ☆Support PWM and DAC two audio output modes. PWM output directly driving 8R0.5W speaker. ☆Support MP3 control mode, key control mode, 3*8 key combination control mode, parallel-port control mode, 1-wire and 2-wire and 3-wire serial port control mode. ☆Automatically into sleep mode when stop playing. ☆15 types of key control modes. Any one key can be set to have any one control mode. Automotive electronics (anti-theft alarm, reversing radar, GPS navigator, electronic dog, central lock), amusement machines, smart home system, home burglar alarm, medical device voice prompt, music playback, home appliances (induction cooker, rice cooker, microwave oven), entertainment (games, amusement machine), learning model (early education machine, audio books for children), intelligent transportation equipment (toll station, parking lot), communication equipment (telephone exchange, telephone), industrial control field (elevator). Record by pressing REC button. After recording, press PLAY button to play the recording. As for the using function, voice chip is divided into voice recording chip and voice playback chip. If your products need voice chip, first you should consider whether you need live recording. If you need to record voice, please choose voice recording chip, otherwise, you just choose voice playback chip. Generally, recording chip has the function of playing the recording, but the sound quality of playing recordings is not better than the sound playing quality of voice playback chip. Therefore, when you choose voice chip, consider the function and sound quality carefully. ☆Support 4Mbit~64M SPI Flash, can use max 32G micro SD card to record. ☆Button functions: long press to record, short press to record, play, loop playback in low level. ☆Asynchronous serial(UART) communication, general standard interface protocol. ☆Built in 1W amplifier, directly driving 8ohm 1W speaker. 32 volume ranges. ☆Can prestore voice files, used as background music or prompt tone. ☆Can record or play through light control. Security warning system, teleconference recording, consumer electronics, megaphone etc. ☆Support WAV, WMA, MP3 audio format. ☆Three kinds of memory for option: SPI-FLASH, micro SD card, USB flash disk. ☆Audio content can be replaced. Max support 32G micro SD card and 32G U disk. ☆Support file name play, file index play, file name or file index play in the folder. ☆Can replace the audio files of micro SD card through USB interface. ☆Can copy the audio files of micro SD card or U disk to SPI-Flash, offline replace audio. ☆Support key control and asynchronous serial(UART) communication at the same time. ☆General standard interface protocol. ☆Can query the song name current playing, current song’s index number, current working status, current volume setting, the number of files in memory and so on. ☆Support inter-cut among different kinds of memory. ☆Built in 1W amplifier, directly driving 8ohm/1W speaker, 32 volume ranges. Access control system, automotive filed, intelligent household electrical appliance, medical equipment, smart home, advanced game machine, instrument and apparatus, industrial equipment etc. This voice speaker integrates speech sound circuit, power supply, communications, horn. Traditional speaker must rely on other auxiliary component to make asound. There are many voice chips and speakers on the market, multifarious. Service level and the technical supportare also uneven. Selection and design need a lot of time. Our voice speakers can make you complete all the design and selection, saving your time. ☆High integration, voice chip and speaker integration, easy for user to stock and easy for engineer to use. ☆Standby mode, power saving, quiescent current less than1uA. ☆PWM audio output, can directly drive speaker and buzzer. ☆DAC audio output, can connect external amplifier. ☆High-quality ADPCM speech synthesis, can adjust sample bits to improve sound quality. ☆Precise +/-1% internal oscillation, built-in low voltage reset(LVR=1.8V) and watchdog. ☆Have one-line serial port control mode, two-line serial port control, pulse control mode. Speech recognition chip is also called speech recognition IC. Speech recognition chip, the most important feature is speech recognition. It can let the machine understand the human voice, and can carry out various actions according to the command, such as blinking, moving lips (smart doll). In addition, the speech recognition chip also has high quality, high compression recording and playback function, can realize the man-machine dialogue. Speech recognition function: Can identify the default speech words or phrases, output through serial port and IO port, and identify the result. Playback function: Through MCU instructions, play the specified voice, at the same time, through the BUSY pin mark, judge whether there is voice play. ☆ Voice recognition rate up to 90% within half a meter. ☆ Control output through voice command. ☆ Play the specified voice through MCU serial communication control. ☆ Three output modes: serial output, IO output, speaker output. ☆ PWM output can directly drive 0.5W/8Ω speaker. ☆ Voice recognition distance up to 2~3m in a quiet environment. ☆ Can add SPI flash to increase the storage capacity. ☆ Can store many groups of words. ☆ Support 32 languages, such as Chinese, English,Cantonese, Japanese etc. High-end toys: parrot talk, story teller, music player, etc. Switches: light switch, brightness adjustment, etc. Voice broadcast: prompt tone for small household appliances. Voice navigation: guiding machine in hospital, shopping mall; advisement player, etc. This product category includes all kinds of voice IC, voice module testing jig, IC Prog, programmer, copy machine, test board, etc. Multi-function test board is small size, multi-function, downloading and testing function integrated together, can be used for programming and testing WT588D, WTV-S, WTV-SR(needswitch seat added on WTV-SR module), WTV-NAND modules. Copy machine, support computer online copy and offline copy. Offline copy can be chip to chip copying, can also copy from SD card to chip, can be used for ISD1700 series of voice chips. Programmer can simultaneously program and copy two ISD devices. When programing, can also detect one chip. The dedicated "programming copy software" is directly controller by computer to program system (that can specify any address to write, modify the voice content), copy, test address. That is simple, easy to operate, good copying sound quality, support ISD all 3V devices: ISD4002, ISD4003, ISD4004 and other devices. 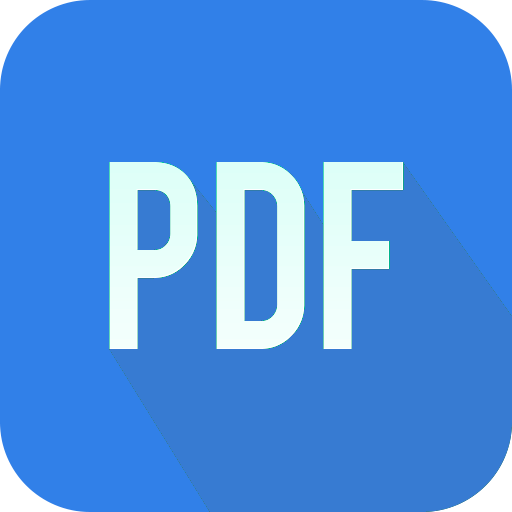 ☆ Perfect embedded programming scheme, can use the dedicated software to have comprehensive control of the copy machine on computer. ☆ SRS232 serial port line connected with computer. ☆ With recording monitor, recording playback function. ☆ BUSY signal indicator light. ☆ DC9V power input end. ☆ Lock seat, can be placed in WT588D module, WT588D with SPI-Flash (need to switch seat), placed on the bottom. PowerSound voice prompter is one of the five major Sound series. Power, the meaning is big strength, big energy, big power, is the exclusive brand name of high-power voice prompter seriesin my company. The size of PowerSound series is the largest, loudest in our voice prompter products, suitable for both indoor and outdoor application, especially some noisy areas. Another extension category --PowerSound OD, is the voice prompt device especially for outdoor use, the appearance totally different from the ordinary PowerSound series. According to the induction way, powersound series have infrared induction and microwave induction. According to the appearance and use of occasions, there are wall-hanging type and ceiling type. All of them can support DIY. Features and accessories can be customized. The sensor has wide induction range. The volume is up to 10 levels, mainly for some construction site, building site, station, outdoors and other noisy place. ☆Infrared induction / microwaveinduction technology. ☆Sensor has wide induction range. ☆Function and accessories can be customized. ☆Able to replace voicecontent off-line. ☆Built in the most competitive high-quality MP3 module, canplay MP3 format audio files. ☆Support SPI-Flash memory for voice storage. ☆Support SD card playing, play voice of the SPI-flash if no SD card. ☆Maximum support 32G SD card as a storage voice carrier. ☆Support two play modes: sequential loop play, single play. ☆10-level volume control, adjust volume according to various occasions. ☆Built-in 10W power amplifier circuit, perfect sound quality. 1. Safety voice prompt in power system high voltage area, military control, public security warning area, . 2. Safety voice prompt in Production workshop, construction area. 3. Welcome alarm when people enter the office building, business hall, waiting hall. 4. Product advertising in square, supermarket, commercial network. 5. Tour guide or automatic audio introduction in science and technology museum, exhibition hall. 6. Bank, ATM anti-cheat, anti-theft voice prompt. 7. Applied in public place, hospital, voice prompt to guide disabled people. 8. Safety prompt in other industries. SmartSound voice prompter is one of the five major Sound series. Smart, the meaning is intelligent, sensitive, looks like a small robot, special, cute. The induction way of SmartSound voice prompter series is infrared human body induction. When people enter the sensor range, it can accurately identify, detect human activity information, passiveinduction. It seems like cat's eyes, not rely on light. Even in the dark environment,the device can alsowork normally, overcoming the lack of lightinduction. SmartSound voice prompter havetwo types: one-way identification and two-way identification. For one-way identification type, such as, in orout, only play the same voice content; but two-way identification, according to the direction inor out, play different voice content. For example, in is "welcome"and out is the "welcome to visit nex time". Voice content can be replaced by yourselves. This device has been widely used in major banks for safetyprompt, welcome alarm. Another SmartSound voice prompter type is named SmartBell, smart doorbell with remote controller. This product combines the wireless remote control doorbell and human bodyinduction technology. we can develop and produce according to the user's special needs. Voice doorbell and sensor can be placed separately, such as sensor in the outdoor, doorbell in the room. Whensomeone enters the store, the indoor doorbell will play voice content, to remind the user someone coming. ☆ Adopt infrared human body induction technology. ☆ Accurate direction recognition technology, automatic trigger to play voice. ☆ Voice content can be replaced according to the different needs of users. ☆ Can identify direction to play different sounds. ☆ Play mode: single cycle, order play, random play mode. ☆ MP3 play scheme, better than the ordinary sound. ☆ Support external micro SD card or built-in SPI-FLASH to play, preferred micro SD card, which supports hot-swap. ☆ Using micro SD card to update voice files of the device. ☆ Working voltage DC-5V and lithium battery DC3.7-4.2V. MicroSound voice prompter is one of the five major Sound series. Micro, the meaning is mini, small. Microsound has many types, the smallest size of the five majorSound series. At present, MicroSound series have infrared bodyinduction (one-way), two-way identification human induction, timing human induction voice prompter, door magnetic induction voice prompter, RJ11 trigger play voice andrecording voice reminder and so on. Except RJ11 trigger, others are infrared human body induction. The difference of one-way and two-way/ direction identification is whether to play the same voice content when people go in/ out. One-way identification type will play the same voice content,but two-way identification type, according to the direction in or out, play different voice content. For example, in, play "welcome"; out, play "welcometo visit next time". The doormagnetic induction type will play voice when people open or close the door. Timing version is timing play and time-interval play by remote controller, to meet therequirements in special occasions. Recording version is that users can record voice andplay the recordings. Thevoice need is more flexible. RJ11 triggering to play sound is the play mode of RJ11 printer. Users can choose according to the use requirement and occasion application. We have the ability to research and develop, also provide personalized customization anddevelopment services according to the specific need of users. ☆ Small and exquisite, high-quality MP3 voice play, good sound quality. ☆ Human body induction trigger to play voice. ☆ Door magnetic induction trigger to play voice. ☆ External trigger to play through the RJ11 interface. ☆ Support recording function, can record 40 seconds. ☆ A, B button corresponding to the previous song, next song. ☆ A, B mode free to switch, A mode is the whole song loop, B modeis the single loop. ☆ Voice content can be replaced free according to the different needs of users. ☆ Replace the voice files of micro SD card through the PC (computer) USB port. ☆ Support USB flash disk function, read micro SD cardcontent through Micro-USB,to replace the micro SD card voice. ☆ 3pcs AAA batteries or USB power supply,alternative, built-in 8ohm 1W speaker. ☆ Automatic sleep, lowpower consumption, long standby time. 2. Hospital doors and windows safetyprompter, residential safety doors and windows safety alarm, voice reminder not to forget the key, turn off the water and electricity, close the door, gas and other security voice prompter. 3. Voice prompt for the printers in restaurant, hoteletc. 4. Used in ethnic minority areas. Some minority languages can not be synthesized, but can be recorded directly. Then device can playthe recording to prompt. iSound voice prompter is one of the five major Sound series. Now it is upgraded to iSound II. This series products have direction identification timing type, infrared induction (one-way) and human body induction direction identification type. Different types have different using functions. Users choose according to the needs, occasions. This product has been widely used in bank, escalator safety warning, reminder. iSound voice prompter is infrared body induction. The difference of one-way and two-way/ direction identification is whether to play the same voice content when people go in/ out. One-way identification type will play the same voice content, but two-way identification type, according to the direction in or out, will play different voice content. For example, in, play "welcome"; out, play "welcometo visit next time". Users can choose according to the use requirement and occasion application. We have the ability to research and develop, also provide personalized customization and development services according to the specific need of users. ☆ Support 8 ~ 320Kbps MP3 audio format. ☆ Easy to update voice content by copying the audio file to memory via USB flash disk. ☆ Can download MP3 files(less than 4M ) to play through the USB flash disk. ☆ Key lock function, to prevent false triggering or illegal operation. ☆ Can connect an external active speaker (external amplifier). ☆ Have a set of relay switches, close when voice play -default delay off time is 30s. KingSound voice prompter is one of the five major Sound series, aluminum alloy material,more special than others. There are gold, gray and silver three colors for option. KingSound voice prompter is also using infrared human body induction technology. The difference of one-way and two-way/ direction identification is whether to play the same voice content when people go in/ out. One-way identification type will play the same voice content, but two-way identification type, according to the direction inor out, will play different voice content. For example, in, play "welcome"; out, play "welcome to visit next time". Another type is KingSound II, suspended ceiling design, different from the ordinary version of KingSound, white appearance. It can use remote controller to have timing play control,time-interval play, remote controller and so on. There are many kinds of products. The user can choose according to the use requirements and occasion applications. We have the ability to research and develop, also provide personalized customization anddevelopment services according to the specific need of users. ☆ Support 8 ~ 320Kbps MP3 audio format, beautiful sound quality. ☆ Power-on initialization time shortened to 5s. ☆ Easy to update voice content, by copying audio files to FLASH via USB flash disk. ☆ Support built-in maximum 128M SPI Flash for storing voice files. ☆ Adopt pyroelectric human body induction triggering mode. ☆ Built in SPI Flash memory, voice play time can be customized. ☆ Loop play function, power-off memory function. ☆ Clock display function, set the current time, previous/ next song selection andvolume up/down by infrared remote controller. ☆ Built in 8Ω /10W high-power speaker, 8 levels of volume. ☆ Through the ConFig document, configure the play mode, track, time period, volume levels. Elevator floor announcer is an automatic announcer to tell people which floor they arrive. It is built in high-performance MCU and voice chips, can play mp3 audio files. User can replace voice content via USB flash disk to meet different requirements of broadcasting content. Widely applied to elevator floor prompt, floor voice navigation, sight seeing elevator/cable car scenic spot introduction, public security warning system, elevator voice advertising, etc.. This device is suitable for various types of elevator, easy to install. Ø Real-time detection of the elevator running status. Ø Each floor card is setvoice, prompting floor information. Ø Support MP3 audio file format, 8~320Kbps, beautiful sound quality. Ø Built in 64M SPI Flash memory. Ø Voice playback duration can be customized. Ø Easy to update voice content, by copying audio files to FLASH via USB flash disk. Ø Can copy the audio file to the internal FLASH via the U disk. Ø Voice content can be freely replaced according to the different needs. Ø Built in power amplifier and speaker, power up to 8Ω/3W. Ø 8 levels volume can be adjusted. Ø Operating voltage range DC9-24V. 1. Large shopping malls, supermarket, square, medical unit outpatient building, in-patient department, office buildings, hotels, residential, nursing home, visit play public places. 2. Elevator maintenance unit, elevator manufacturers, elevator repair parts, elevator advertising. Motor Vehicle Safety Management System (VSMS) is a system, based on the solution to solve the hidden dangers of forklift and enterprise forklift safety management .This system is mainly used for factory forklift management. At present, there are three types: forklift over speed alarm, forklift speed limit alarm, forklift safety management system. Forklift over speed alarm, as the name implies, when forklift exceeds the standard speed, system will alarm to prompt driver attention to slow down. Forklift speed limit alarm, this one can directly limit the speed of forklift. Preset the speed value, such as 20km/H,then forklift speed will be controlled within 20km/h. About the product installation, our company is the only company who designs and manufactures wireless speed sensorto have wireless installation in China. Wirelessinstallation method greatly simplifies the product installation process, without damaging the vehicle. We own the forklift safety management system wireless sensor patent. ☆ Two alarm alerts, audible and visual alarm: strobe light warning, voice alarm. ☆ Other prompting function:reversing voice prompt, left and right turn voice prompt. ☆ Installation: wired installation/ wireless installation. ☆ External alarm horn warning, 9 levels of alarm volume, volume adjustable, good sound quality. ☆ Speed limit mode(Optional): Electronic throttle speed limit, mechanical throttle speed limit. ☆ Three levels of speed settings, different alarm voice if over different speed level. ☆ IC card access control. Driver uses IC cardto access vehicle. ☆ Forklift data management: you can check the forklift overspeed times, speeding time, driver number, and driving record. ☆ Remote control settings, system can be remotely set within 1 meter range via IR controller. ☆ Lock the alarm: When forklift over speed the 3rd speed level for a long time (0 ~ 99 seconds, can be adjusted by user), alarm will be locked all the timeuntil administrator use administrator IC card to unlock alarm. ☆ Speed control:Overspeed lock, speed limit function. ☆ Working voltage: DC12V~24V (48V can be customized). ☆Forklift type: Linde, Jungheinrich, TCM, Heli, Hangzhou, Daewoo, Hyundai, Toyota, Nissan, Crown, Clark, Mitsubishi, Lonking, LiuGong, BT, OM, Tailift, BaoLi and other diesel, petrol, fuel, electric, battery-powered forklift. ☆Other models: Stacking machine, Tractor, Road roller, Loader and other vehicles in factories. There are many major accidents occurring caused by vehicleover speeding. The loss and death rate caused by special heavy vehicles is highest. Most of heavy vehicles have not installed speed limit device. At present, many countries have already made relevant state laws and regulations for heavy special vehicles: all heavy vehicles must install the speed limit device. Our company focuses onthe safety of Person, Vehicles, and Object. According to market requirements, we alreadylaunched three types of speed limit device:vehicle speed limiter, GPS vehicle speed limiter, GPS vehicle intelligent speed limiter. Vehicle speed limiter, the ordinary type, supports the electronic throttle speed limit, mechanical throttle speed limit two modes, with high precision, stable and reliable performance. When vehicleover speeding, the speed limit devicewill give voice alert to remind driver and directly limit speed. The host and accessories are waterproof, shockproof and anti-interference, suitable for use in harsh environments. GPS vehicle speed limiter, this type device installation is simpler than the ordinary type of vehicle speed limiter, more functions, can be directly used on the car, do not need too complicated installation. This device detects speed through the GPS signal. Above two products are popular in market, but there are some customers require solutions to vehicle management and monitor, such as want to see the vehicle travel route and limit the vehicle driving area, limit different speed in different road, real-time location of vehicle, check vehicles whether over speed or not, remotely issue instructions to force vehicle to limit speed. So we launch GPS intelligent speed limiter. This device can work with cloud server to remotely monitor, check and issue instructions, solving vehicle fleet management problem, convenient for enterprise to protect their profit and protect the safety of vehicle and driver. ☆ Remote control function, can remotely set speed limit related parameters within 1 meter range via IR controller.Speed limit is adjustable from 0 to 99 km. ☆ High speed limit precision, intelligently learning tachometer speed signal. You can directly connectthe tachometer signal line of all kinds of vehicles, easy to install. ☆ Two speedlevels setting, over different levels of speed will have different voice prompts. ☆ Voice alarm function, 8 volumeranges adjustable. ☆ Speed signal is real-time measurement through GPS signal, accurate speed. ☆ Intelligent voice prompt when reversing, turning. ☆ Can setthe speed limit parameters of thedifferent levels of road oncomputer (platform software). ☆ Real-time positioning through GPS. ☆ Network control function ( through GPRS network connected to the server, upload data records, parameter settings, etc.). ☆ Available to have early warning voice prompt function, to make driver form agood driving habit. ☆ External speaker 8Ω/1W or 8Ω/10W (optional). 1. Applied in bus speed limit (taxi, driver-training car, coach, school bus, city bus, inter-city bus, logistics carrier vehicle, etc. ), engineering vehicles, factory transport vehicle speed limit (truck, lorry, oil tank truck, road roller, dump truck, excavator, dangerous goods transport vehicle, mixer truck, etc. ), factory motor vehicle speed limit, such as forklifts. 2. Applied in automobile anti-theft tracking, rental vehicle location tracking, logistics enterprise fleet management, construction project fleet management, taxi dispatching management, long-distance passenger transportation monitoring management etc. This anti-collision warning system is a kind of device for motor vehicle collision avoidance, can be applied in factory forklifts. Installedon the forklift, set the dangerous distanceinduction range, when the person who wears the rangingtag is close to the dangerous range,this device will give soundand light alarm, to remind the operator that someonecoming, he should move away or stop operating, also warn theperson with tag that he should pay attention to safety, staying away from this dangerous area. This product can be used in factory to prevent the collision of people, object, vehicle in the operating process, to reduce accidents, to protect the interests of enterprises. ☆Adopt wireless pulse technology, accurately measure the position of the tag and the host by measuring thetravel time of the pulse in space. ☆Sound and light alarm, support speed limit function (optional). ☆Anti-collision area and warning area can be set by infrared remote controller. ☆Seven volume ranges for adjustment. High-risk working area, motor vehicle safety warning,factory safety management, warehouse safety management, wharf operation early warning, forklift safety warning, warehouse safety early warning, corneranti-collision alarm, exit and entrance safety alert, etc. Motor vehicle reversing collision avoidance warning system, using ultrasonic detection technology, has features of wide detection range, small blind area, long distance. When the ultrasonic probe detects obstacles in effective range, the host will send the actual distance between obstacles and motor vehicle to the alarm device through wireless signal, in order to avoid collision.This product is special for large vehicles. Even if the car body is very long and wide, it can know everything behind the vehicle. At present, the product is divided into two types: ordinary type and image type. Ordinary type is through ultrasonic probe to detect obstacles, then send the signal to display and buzzer; the buzzer will give alarm prompt to driver; the driver can also see the obstacle distance on the display. Image type is mainly through the buzzer alarm and LCD display, can prevent the danger caused by bad reverse vision. This product is equipped with infrared night vision camera. Even at night, without any light source, through the infrared fill-in light, can also reverse easily, to prevent vehicles from hitting people or objects, to ensure the safety when reversing. Adopt ultrasonic detection technology, low attenuation, strong reflecting ability. Support 4 probes (6 probes, 8 probes for option). Support LED digital display and voice prompt function. Lightning protection, contain 600W TVS. Waterproof, anti-vibration, anti-interference, waterproof grade up to IP67. Many kinds of probes and mounting brackets for option, convenient for various vehiclesto install. Large vehicles, lorry, truck, sedan car, SUV, coach, school bus, dump truck, oil tank truck, crane, excavator, fire fighting truck, clearing truck and other special vehicles. Bus station announcer is also named bus station stop reporter, widely applied in bus, tourist coach, coach. Intelligent bus stop announcer is based on global positioning system to have automatic voice announcement to remind passenger when bus arrive at the station, no need of manual operation. GPS bus stop reporter will memory each station of bus lines. When the bus arrives at the station, it will broadcast the station name automatically. When the bus is out of the station range, it will forecast the next stop. ² Support GPS information output. ² Can store voice information of 99 bus lines, two directions in each line, max 80 stations in each direction. ² Except bus station voice announcement, also support advertisement or mp3 music play or others. ² Support many kinds of language. ² Through the matched software MPSTA, voice content of bus lines can be edit, made, downloaded. voice message can be changed easily. ² Adopt USB2.0 communication, data transmission faster. ² For the buses running on the same line, only one of the device set successfully, others can be set directly by copying the information. ² Voice prompt, not only inside, also outside the bus. ² Up-line/ down-line automatic switch and broadcast. After upline driving finished, automatically switch to downline voice broadcast. After downline driving finished, automatically switch to upline voice broadcast. ² Play station arrival information when 15~35 meters close to the station. ² Compatible with all features of ordinary bus station announcer. ² Whole point announcement function, at 0:00~23:00. ² Over speed alarm function. Bus, tourist coach, coach, small bus etc. High-power audio speaker belongs to simple voice prompt device. Once connected to power, it can work. According to the trigger port, can select which audio to play. This product is suitable for indoor and outdoor, where need loud volume. Loop playback/single play,other trigger play modes can also be realized. This series of product is easy to replace the voice. You can usemicro SD cardto offline replace audio files. It can play the audio files of micro SD card. You can also use USB cable to copy audio by connecting to computer,where will display the disk. Delete the previous audio files first, then copy new files into the speaker. Ø Support MP3 audio format, good sound quality. Ø With rainproof USB female connector. Connected to computer to replace audio. Ø The default is high level triggering way (other triggering ways can be customized). Ø Support multi-channel triggering, max 5-channel triggering. Ø Five levels of volume for adjustment, wide applications. Ø Built-in SPI memory, support 4Mbit~64Mbit storage capacity, audio lengthup to more than 2000 seconds. Ø The maximum audio output can be 30W. Subway station, subway entrance, stations, scenic spots, school, large square, station waiting hall, construction site, forest reserves and other places, indooror outdoor, where need loud voice. Audible and visual alarm is also called sound-light alarm, a kind of alarm device giving warning signals through sound and light. It is developed to satisfy customer’s special requirements to alarm loudness and installation position, widely used in some dangerous operation area or the area where need high-power sound playing to give hazard warning signal. At present, there are four types with different functions: wireless remote control type, power-on play type, microwave induction type, portable type. Wireless remote control sound-light alarm adopts the acousto-optic control technology, wireless remote controller can remotely control the device power on or off, remote wireless control. Power-on play, that is, once power on, the device will sound. User canuse the infrared remote controller to adjust volume up and down,replace voice remotely. Microwave induction type adopts radar wave induction technology. When detecting something passing by, alarm light will flash and the device will have voice prompt. Portable type is built in rechargeable battery, can be used alone withoutpower source, microwave induction, flexible market environment, not restricted by power supply. Support MP3 audio playing, good sound quality. Sound and light alarm, sound and light signals triggering together. Can have power-on play, remote control, microwave induction triggering to play. Max audio output up to 20W, alarm sound loudness up to 120db. Built-in SPI memory, support 4Mbit~64Mbit storage capacity, audio length more than 2000 seconds. Replace alarm sound connected to computer through USB interface (optional). Can select alarm sound or adjust volume by infrared remote controller (optional). Wide voltage range of power supply: DC12-24V, can customize 220V. Alarm light and warning signal are integration----easy to install. Weather-proof circuit technology----waterproof and dust-proof. Oil field, prison, steel plant, coking plant, metallurgic plant, chemical plant, mines, smelting iron factory, gulf, vessel, wharf, large hoisting machinery, engineering vehicles, harbor machinery, electric power communication. Square, Bank, government agencies, post office, telecommunications, hotel, building, shopping malls, stores, villas, ATM, security services company, etc. Waycare is a mini car diagnostic tool developed for car safety. Waycare I is launched by our company, focusing on driving safety, automatically detecting the running state of cars and reminding drivers to pay attention to their driving behavior. Waycare I has many warning functions: overspeed prompt, battery aging warning, battery power prompt, car maintenance, correcting driving behavior and so on. Voice prompts help car owners to know the cars’ battery usage and battery life, to replace battery timely and avoid running troubles, car maintenance reminding in advance, to improve security, warm prompt to help driver to correct the nonstandard driving behavior and know some car maintenance knowledge. Overspeed warning, over 120 km/h speed every 1 minute, it will remind the owner that he is overspeeding, should pay attention to safety. Waycare II, on the basis of the first generation, increases the function of APP interconnection mode, which can connect the phone APP to check car’s water temperature, speed, voltage, can also have fuel consumption analysis, maintenance prompt, etc. Detecting battery status at any time, forewarning battery failure. Remind driver slow-driving when overspeeding. Memorandum appointment function of car maintenance. Prompting the safe driving behavior norms. Easy to install, direct to insert the OBD interface of the car. Easy to use, two-button design(“OK” button, “Mode” button), easy to handle. Built in 0.5W/36mm loudspeaker, moderate volume, good sound quality. Xiamen Golden Dragon Delphi491QE, Xiamen Golden Dragon DelphiJM495, OPEL Volkswagen Adui, Honda Xiamen Golden Dragon, Shanghai Volkswagen, Changan, SAAB, HYUNDAI, DAEWOO, KIA, Honda, Toyota, Nissan, Mitsubishi, Renault, OPEL, BMW, Benz, Mazda, Volkswagen, Adui, Chrysler, PEUGEOT, LAND-ROVER, etc. Currently cannot be used for battery car and 24V vehicles. Bluetooth Module, including chip, has many versions: 1.0, 2.0, 3.0, 4.0, 4.2, and 5.0. Our Bluetooth modules have the advantages of industrial grade design, stable data transmission, easy operation and cost advantage, widely used for wired(serial port) converted to wireless data transmission. It supports Bluetooth SPP standard protocol, which can be connected to all Bluetooth-enabled Android phones, notebooks, computers and Bluetooth master modules, to send and receive data in both directions. Our Bluetooth module series, except the ordinary transmission module, the other are the audio Bluetooth module and LED dimming module. Audio Bluetooth module is WT2600 module, can have audio play function after connecting Bluetooth. LED dimming module is WT2800 module, with our dedicated APP, achieve the lamp brightness adjustment, color temperature adjustment, RGB color adjustment, different flashing mode adjustment, lighting timing control and other functions. Of course, we not only sell sound modules, but we also have ability to develop and manufacture, we can customize products to meet customer needs. ☆Standard UART communication interface, bit rate 9600(in default), can flexibly achieve the specified address playback, specify the file name to play, specify the folder file playback, volume levels, previous and next, play stop, combined play, memory switch, select the playback mode and other modes. When power on, not play by default. ☆With the standard key function, play/ pause,previous/next, volume+/-，mode switching and so on. ☆Using WT2600 as a core, at the same time, support SPI-FLASH, SD card, U disk three storage modes, SPI-FLASH as specified audio area, cannot be updated by user. ☆USB interface can achieve the host（USB HID）and slave(USB reader) automatic switch function. ☆Support FAT16, FAT32 file system, support MP3, WAV(PCM, IMA-ADPCM) file format. ☆In open space, Bluetooth connection distance up to 30-50m. Control RGB LED light bar, LED light control module and other products’ light control. Used for children toys, city brightening, stage effect, festival celebrations, home brightening, light decoration and other occasions. 1. In the current social atmosphere, many things need evidence. Call recording function is undoubtedly a great demand for some people. Recording phone conversation sometimes is also a good way to protectourselves. 2. Business people, during the call, some important information may not be timely recorded or remembered, which may cause loss after the call, losing some business opportunities. Call recordings can be a basis whenmake some major decisions. As the saying goes, verbal statements are no guarantee, especially cooperation content communication and promises between two enterprises. 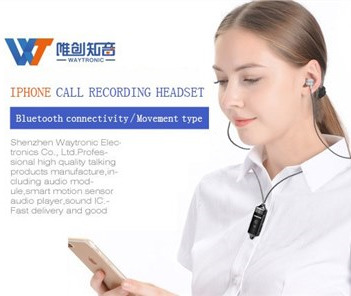 Regarding to the above needs, ourcompany developed the call recording earphone, especially against the problem that Apple phone can not record the call during the conversation.Of course, it can also be used by Android mobile phone. This product iseasy to use, simple appearance. 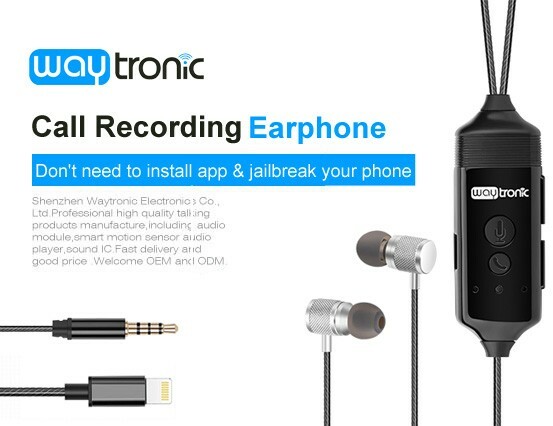 When you do not need recording function, you can use it as a commonearphone to listen tosongs. Another call recording product is mobile phone Bluetooth call recorder, against the cellphone radiation when answering thecall. Turn on mobile phone Bluetooth, connected with this call recorder. It has call automaticanswering function. In the process of answering, you can record the call content,used as evidence on some commercial or special occasions. Support apple cellphone recording phone conversation. Can be commonly used by Android phone. Play the previous/next, recordings playback. Automatic call recording function, auto answer function. Can copy the recording files out from the earphone connected to computer via USB cable. Businessmen, enterprise boss, reporter, lawyer, lovers and other people who need to record phone conversation, family, office. WTZMO5W1 is an ultra-low power embedded WIFI module developed by the Shenzhen Waytronic Electronics Ltd,using the industry's lowest power embedded high-performance WIFI network processor. In the module hardware, MAC, RF transceiver unit, power amplifier unit, and the M4 core unit for users to develop are integrated. It supports the 802.11b/g/n protocol standards. The WTZM05W1 module is a low power WIFI module, which can help customers to upgrade the product fromthe basic serial communication to wireless network communication. ☆ Support 802.11 b/g/n protocol standard, WPA/ WPA2 encryption modes. ☆ Use Smartconfig and WPS configuration(provide three kinds of APP code). ☆ Inner integrated TCP/IP protocol stack, reduce the programming burden. ☆ Contain Cortex M4 kernel, convenient for user to program. ☆ Provide network programming Simplylink library and M4 kernel driver library. ☆ Provide many peripheral interfaces, UART/ SPI/ I2C/ I2S etc. ☆ Low power consumption, in deep sleep mode, the working current is 4ua. ☆ In LPDS mode, the operating current 120ua. ☆ In idle connection state (DTIM=1), working current 2ma1. ☆ Small size 23*32mm, surface paste packaging. ☆ IAR / CCS compiler environment. Smart socket is different from the ordinary socket; it is intelligent wireless control socket, wireless remote control by mobile phone APP, to achievethe functions of electric appliance timing, measurement, on/off and so on. Our smart socket brand is i-Timer,including wifi smart socket, Bluetooth smart socket, GSM smart socket. All of them have APP software for remote control. We not only provide the finished products, but also provide product development and customization services. Mobile phone wifi remote control timing socket is based on wifi communication; can achieve socket Internet of things; through smart phone, users anywherecan control electric appliances athome or in the office. We have both Android, and IOS APP. Our bluetooth socket is divided into mobile phone bluetooth remote control timing socket and mobile phone remote sensing timing socket. Bluetooth smart socket based on Bluetooth 2.0/4.0 communication, can achieve mobile phone bluetooth connected with socket, not need external equipment (router). The ordinary version is that user manually connect with the socket bluetooth. The remote sensing version is automatic distance detectedand phone automatically connected/ disconnected (can also manually control). GSM timing socketis built in GSM module, through the SMS command/ APP control socket, not affected by distance; without networking, even can achieve the user’s mobile phone to communicate with the product at any time and any place, making equipment, electrical appliances more intelligent. ☆ Mobile phone APP software control, IOS, Android software available. ☆ Support several users sending SMS commandto control socket. ☆ Can delay, timing control. ☆ Can remotely query environment temperature. Family, industrial device, library, swimming pool, museum, hotel, waiting hall and other occasions. This product, wireless temperature controller, has two types. One is wall-hung gas boiler thermostat, suitable for most of boilers, such as Small Squirrel, BAXI, BOSCH, VANWARD, Beretta, Viessmann, Ariston, Smith, Kdnavien, Radiant, Qianfeng, Yakesi, Haydn, Immer, Weima, SYLBER, Unical, Aosin, Dynasty, Guosen, Herman, Huadi, Yushun, Italtherm, Topps, Weineng Yima and others.The other is a temperature controller for indoor, built in wifi module, can be remote control,through mobile APP software, canhave temperture setting, timing setting, on/off etc. ☆ Through smart phone control, have IOS, Android APP. ☆ After device configuration router, families can directly connect the device, onemember set, the familyall members can use. ☆ After connecting the device in the 2G/ 3G/ 4G/ WIFI network, can be remote control in any case. ☆ Support multiple time periods of timing control, setting transducer to have the temperature range control. ☆ External high-precision temperature sensor probe, real-time detection of indoor temperature. ☆ Can record the open duration timeof the device everyday, know the gas consumption at any time, do not worry about the high gas costs. ☆ With power output interface, supply power for wall-hanging stove, no occupation of socket location. Family, indoor public places, farm, vegetable greenhouses and so on. Industrial production, electrical equipment control, electromechanical control, boiler manufacturers, accessories maintenance manufacturers, etc. Music alarm clock can play songs, different from traditional alarm clock. This alarm clock has USB interface. The inner voice files can be replaced. You can copy what you like, any mp3 files. We also accept function customization, such as alarm clock with recording function. We can provide circuit board or finished products. Adopt WT2003 voice chip as core circuit,able to replace audiofiles. With USB port, connected to computer to change audio files. 32Mbit SPI-FLASH memory, can download about 4-minute MP3 music (Memory size can be chose). Built in 1W amplifier, directly driving 8R/1W speaker. Power supply: 3PCS 1.5V dry batteries. Home decoration, Children alarm clock, non-radiative alarm clock for pregnant women. Greeting card module is very common in toys or gifts. Our company has many types of greeting card modules. Music files can be replaced by yourselves. There are also recordable greeting card modules, which can record any voice and playback. We can also provide music greeting cards, recording greeting cards, we accept customization as you required. ☆Sound can be human voice, songs, music, advertisement and so on. ☆Can be used as ordinary greeting cards. ☆Voice recording type: record through microphone, press button to play, need no software,able to repeat recording. ☆Support max 16 MB, mass storage, specific speech length can be chose according to user needs. ☆Christmas songs, birthday songs, blessing words (can convert English, Japanese, Russian, ☆German, Italian, Arabic, Spanish etc.). ☆Directly use USBcable to connect computer to replace music files, need no software. Music greeting cards are applied tocards, electronic voice, birthday cards, gift boxes, packing boxes, wine boxes, toys, greeting cards, music boxes, educational toys, etc. This small adhesive voice player is developed by our company, used in gifts, greeting cards. It belongs to SoundSticker series. SoundSticker I is playing audio with induction function, such as light sensor activated, shadow control, human body induction. This type is usually OTP, can use our IC Prog to program in batch, can program many at once. SoundSticker II is recordable, also named recording box. This type supports customization, easy to use. Just press record key to record; press play key to play the recording. It is powered by button battery. Have long recording time. Users can repeat using. This product is built in greeting card circuit board, recording circuit board, different from the appearance of traditional greeting card circuit board. It has outer casing decorated and protected. The sticker can be customized. ☆Adhesive sticker, easy to use. ☆Applied to gifts, creative advertising design. ☆Outer casing is PVC, ABS material, drop resistance. ☆Control way: light induction, human body induction, shadow control, key press. ☆Power supply:button battery or lithium battery. Squeeze box is a kind ofpush-in type IC voice box,small music box. shape is roundor square. Seller can takeit as a small gift given to buyer. As long as gently squeeze,it will play the recorded songs, product introduction or brand advertising and so on. This can be used inside the toy, which can make toys play all kinds of sounds. ☆Recording time: 6s, 10s, 20s, even several minutes. ☆Shape: square, round, box type. ☆Sound: Chinese English music sound, animal sound, analog sound etc. ☆Trigger mode: remote control, voice activated, light controlled, button control, vibration. ☆ROHS standard, not contain PHTHALATE. ☆Can use external battery case. Doll, gift box, sound toys, packing box. Elevator counterweight ranging collision avoidance warning system, is a safety protection device, mainly used for safety early warning, to remind workers during elevator maintenance work . It adopts ultrasonic detection technology, detection precision up to centimeter level, mainly used to prevent dangers during the elevator maintenance operation process. Sometimes the maintenance workers in the elevator counterweight, they cannot find danger timely, unable to escape in time, which will cause life safety threat. Ultrasonic detecting technology, detection precision up to centimeter. Sensor can be rotated around 60 °, easy to change different detection area. Voice content can be replaced. Built in amplifier and powerup to 2W/ 8 Ω speaker, adjustable volume. Elevator alarm distance can be set. Ultrasonic detection range is 3~360cm + 5 cm(cm), two sensors induction angel ≤15°.